Carols are playing, shopping has begun and family gatherings are being organised. The 2018 Christmas and holiday period is upon us! 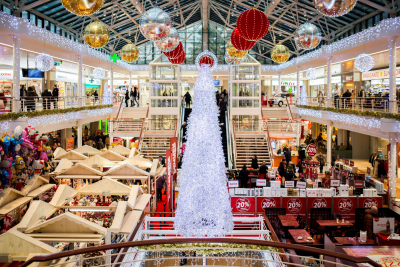 The festive season is a busy time for consumers and businesses alike. Growth in shopping activity presents an excellent opportunity for businesses to maximise sales with effective SMS marketing. However, the opportunities do not end there with a number of other business miracles available using the power of SMS. Spread the holiday joy by sending your customers an SMS coupon. Sending these gifts is made easy with a text messaging service that allows you to connect with large customer groups all at once. It’s a great way to increase both in-store foot-traffic and online purchases. You can even send an engaging image featuring holiday symbols using MMS. Did you know that mobile coupons have a 1000% higher redemption rate than print coupons? Now that’s a Christmas miracle! Whether you’re a B2C or B2B company, Christmas landing pages are an effective way to present a special offer to your consumers. Creating a festive landing page is one step - but you need to drive customers to this page too. With SMS marketing software, you can send your consumers a link to the landing page which will be at their fingertips in a matter of seconds. Use a link shortener to make the most out of your 160 characters. Important tip: Remember to keep your landing page mobile friendly. Click here to read more about creating a mobile landing page that converts. Mobile advertising is the way of the future as consumers have become inseparable from their smartphones. This has made SMS the best platform to alert customers about your holiday flash sale. SMS maintains an open rate of 98% whilst 88% of B2C emails go unopened. Running an SMS campaign is the perfect strategy for retailers looking to grow sales. In Australia, Boxing Day is one of the biggest days for retail sales in the calendar year. Give your business the winning edge by engaging customers directly and efficiently with SMS marketing. The hospitality industry is another that booms during the holiday period. 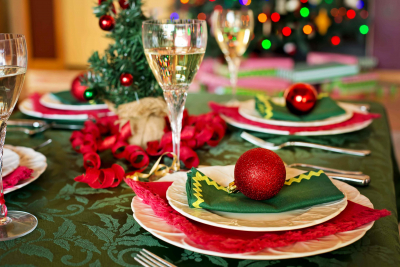 An influx of Christmas day bookings makes this a chaotic time for restaurants. A web SMS platform is the perfect tool to help coordinate the large volume of families coming in for Christmas lunch or dinner. Integrate SMS into your existing CRM to receive and confirm bookings via SMS. Did someone cancel a booking at the last minute? No problem! Don’t miss out on a table full of spending customers - quickly send an SMS to your database advertising the reservation opening.Wait times are often long if your restaurant has a number of walk-in customers, particularly during the holiday period. Manage this process easier by recording the customer’s number and sending them an SMS when their table is ready whilst they enjoy a drink around the corner. With consumers out and about for the festive season, many businesses are required to roster additional staff members. If you employ part-time or casual staff this can often be a difficult task. SMS is a great system for sharing rosters with your team and can be the perfect way to cover a last-minute shift. If an employee calls in sick or you’re experiencing busier times than expected quickly send an SMS alert to your entire team in just seconds. For added efficiency, set-up automated SMS responses to let everyone know when the shift has been filled. Select from pre-determined templates to make this process even quicker. Are you opening early and closing late in the lead up to Christmas? Closed Christmas day? Open New Years Day? These questions are likely going through your customers’ mind. Don’t leave them in the dark - send a bulk SMS with your holiday trading hours to your customers to make it clear. Getting your co-workers to respond to Christmas invitations is hard enough and growing rates of unopened emails aren’t making life any easier. Break through the communication lines with an SMS invitation. Implement keyword automation to sort through the RSVPs to have your Christmas party organised quicker than ever before. No matter what type of business you run, it’s likely that the festive season is a busy and stressful time for you. That’s why using a web SMS platform is the perfect business miracle to take the weight off your shoulders. Sit back, relax and enjoy the holiday period whilst our automated SMS system takes care of the work for you. Click here to get started with our SMS software or contact one of our friendly sales members today at 1300 883 400.